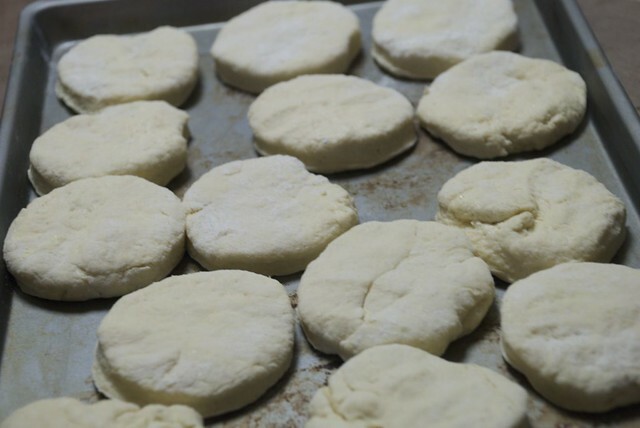 I've been looking for a recipe of biscuits that can freeze for later use. One day, I spent a couple hours making several batches to go in the freezer, of a different recipe. They turned out a little hard. My husband would ask, if we were going to have rock biscuits with dinner again. haha I was a little glad to see them gone. This recipe is much better, but I'm always looking for new ones. If you have any to share. Please send them to me. Gently, PAT (do NOT roll with a rolling pin) the dough out until it's about 1/2" thick. You can gently knead the scraps together and make a few more. Handle the dough at little as possible. 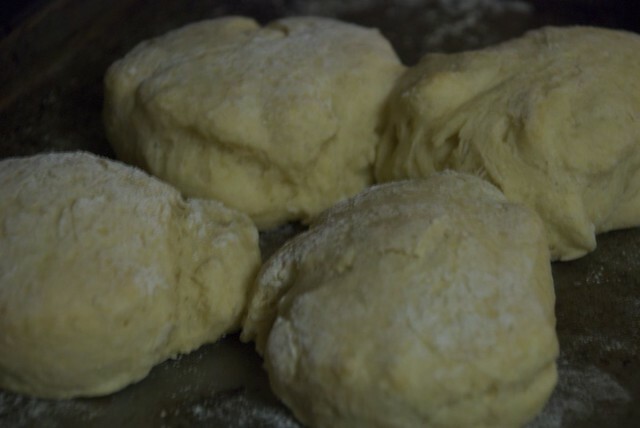 *Note: The key to real biscuits is not in the ingredients, but in the handling of the dough. *The dough must be handled as little as possible or you will have tough biscuits. *I have found that a kitchen aid or food processor make a better biscuits, because the ingredients stay colder and there's less chance of over mixing. *Note: You can make these biscuits, cut them, put them on cookie sheets and freeze them for up to a month. Simply place them frozen on the cookie sheet and bake at 450°F for about 20 minutes. After frozen place in a freezer safe bag for later use.